Regarding outdoor pursuits, the country of Turkey has progressed massively in the last 20 years. The impressive advancement is all part of a long-term tourism plan to promote the country to international visitors, and it has paid off. Skiing resorts are gaining a name for themselves, Antalya is famous for white water rafting, and rock climbing while coastal resorts like Alacati annually hosts windsurfing championship attracting fans from all over the globe. The spotlight claim to fame though has to go to golfing in Belek. This industry has revolutionised the sport in Turkey and placed the districts among the notable list of top golfing destinations in the world. For many years during the 20th century, Belek was a humble, simple fishing village on the Mediterranean coast of Turkey, in the Antalya region. In the 1980s, when Turkey launched onto the mainstream tourism market, Belek transformed itself into a manmade holiday resort with a sandy beach and all-inclusive hotels. The mild winter weather and flat plains also made it an ideal destination for golf courses. People came but not many. However, Turkey was only just beginning on its quest to become one of the top visited destinations in the world and the government had big plans for this small town. In 2003, the spotlight fell on the golf courses of Belek. Investors piled millions of Turkish lira into upgrading the infrastructure, resort appearance and more importantly golf courses. It was long before the vision turned into a realistic success. In 2008, the International Association of Golf Tour Operators (IAGTO) awarded Belek the honour of being the best European golfing destination. In 2011, Belek hosted the International Golf Travel Market. Perhaps the key turning point though was when Turkish Airlines, the national carrier, and fourth largest airline in the world joined the promotion team. Their yearly sponsorship of golf tournaments around the world was a focal aspect of Belek’s promotion and in 2012; major names like Tiger Woods attended the Turkish Airlines World Finals Tournament. These days as the home of 15 golf courses, of which eight are championship status, golfing in Belek is now big business! The Cornelia Golf Club mostly draws its fame from its connection to Nick Faldo who designed the 27-hole championship golf course. Their website says, “Cornelia Golf Club offers an exceptional blend of harmony and quality peculiar to the best golf clubs of the world, they have indeed earned a worldwide reputation for excellence.” Following up on their success of their course, they introduced the David Leadbetter Academy and various training programs that cater for all levels of golfers. 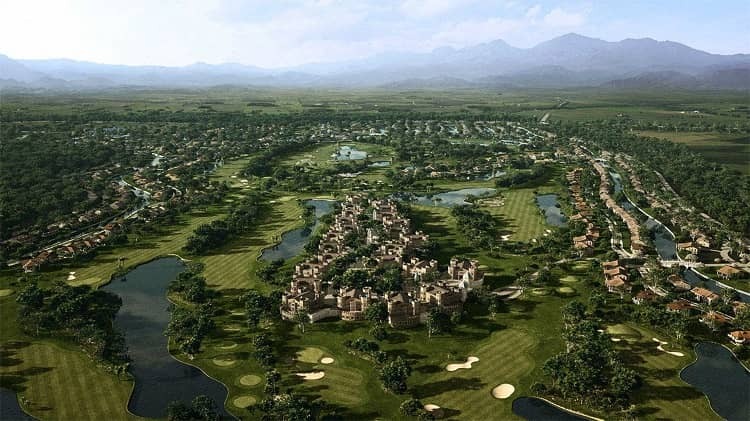 Meanwhile, Carya Golf Club followed up the connection with famous players by employing Peter Thomson to design their 7,186 yards, 72-par course. They have also lit up nine holes of 18, therefore allowing players to swing their clubs after dark. Novices who are not quite ready for the course can make good use of the academy, and its P.G.A qualified instructors. Non-playing family members can also enjoy Mediterranean life by booking into the connecting Regnum Carya Golf and Spa hotel. If money is no object, the king villa with a private butler and chef is only 11,000 euros a night. Also listed as one of the top 100 golf courses in Europe, Lykia has the added benefit of a seaside location. Golf architect Perry O’Dye designed the 18 hole, 72-par with a “risk and reward” theme. 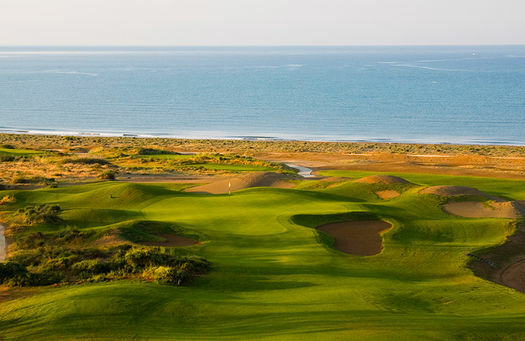 Open since 2008, the course covers 600,000 square metres and throws up a challenging game because of prevailing seaside winds. Cars, trolleys, and clubs are available for rental, but most hard-core players bring their own equipment for familiarity on the sand dunes, turtle back ridge and bunkers. Naturally, with a prestigious name, Lykia has its own hotel for golfers that offers luxury services such as a butler, king suite and spa and wellness facilities. Despite the Ritz and glitz of the golf courses, property prices in the area have remained level providing an excellent cost per square meterage. Apartments are rare, but when they do become available, prices start from roughly £60,000. Instead, villas are the main feature of the real estate market in Belek including basic builds and luxury, modern, state of the art architecture. This opens the market up to both budget and high-end buyers. A traditional method used by builders to keep costs down is villas on a communal site. This provides benefits to customers because they share all costs for the swimming pool, security, and onsite facilities. Otherwise, buyers without a budget can tap into the millionaires market featuring property with en-suite bathrooms; quality fitted kitchens and even their own sauna and Turkish bath. Belek has made a name for itself as the golfing mecca of Turkey, yet part of the lure for non-golfers is that it is also a beach resort. This has enabled buy-to-let investors rent their homes out to both golfers and families seeking a seaside destination that is relatively quiet when compared to other popular holiday resorts. Belek is also just a short drive from the main city centre of Antalya and the airport, and with easy access to transport; everything really is on your doorstep.